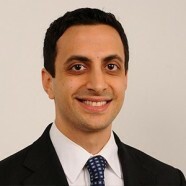 Neville Vazifdar is a member of our Healthcare Advisory Services team. Learn about his day-to-day responsibilities. As a member of the Healthcare Advisory Services team, I have the opportunity to leverage analytics, industry knowledge, and interpersonal skills to help guide our clients in making tough decisions. While we function as an internal consulting group, Advisory Services integrates seamlessly with our counterparts across CannonDesign over a wide range of projects, from system-wide master plans to clinical feasibility analyses. I have the privilege of working alongside individuals and teams from all walks of life, including branching out from healthcare to support the education practice on multiple campus planning studies. In addition to the varied client responsibilities, I also participate in a number of internal initiatives ranging from health practice tool development to our international health practice mentorship program where I’m able to regularly connect with colleagues from around the world. With a background in technology and implementation consulting, I decided a few years back that my career trajectory required a bit of an adjustment to better suit my interests. I pursued a number of traditional healthcare consulting roles but my search came to an abrupt halt upon discovering Advisory Services at CannonDesign. Who knew that such a role even existed – healthcare consulting within a leading global design firm? While the nature and variability of the position may have been enough to close the deal, the greatest draw was the team itself. If there’s anything I enjoy more than working with numbers, it’s working with people. And through Advisory Services’ mix of clinicians, engineers, and consultants, I have learned more in my few years with this team than at any other point in my career. My days are split between a wide array of responsibilities, often across a range of venues. I may be visiting a hospital four states away touring each department and interviewing staff, leading interactive visioning sessions with clinicians, or presenting data and findings to the C-suite. You might also find me at my desk in Chicago analyzing spreadsheets across two monitors while editing a presentation on a third, performing detailed operational and capacity analytics on a health system’s patient data. Other days, I could be in one of the other CannonDesign offices for a two-day charrette with a project team, finalizing deliverables. Or I could be developing tools to automate and streamline processes across the firm, allowing us to further innovate and think beyond the ordinary. Through this healthy mix of client and internal initiatives, often in Chicago while sometimes on the road, no two days are alike in Advisory Services. I wouldn’t have it any other way.